Anthropology/Sociology gives students an opportunity to explore people and the societies in which they live. Graduates find success in graduate programs as well in applied settings such as archaeological research, human services, social welfare, corrections and law enforcement, forestry and natural resources, community health, government agencies, higher education, and nonprofit organizations. 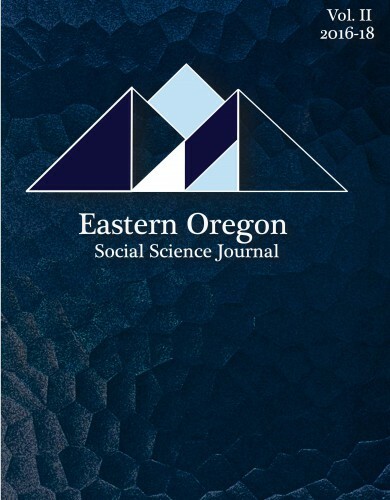 The second issue of the Eastern Oregon Social Science Journal won first place from the American Scholastic Press Association this fall. This is the applied emphasis within the Sociology/Social Welfare concentration. Students choosing this route are generally seeking a professional career in social work or more generally the social welfare arena. This includes a variety of disciplines–social work, direct therapy/counseling, public safety (law enforcement, parole/probation, corrections, juvenile justice), crisis response, advocacy for domestic violence survivors, sexual assault response, community development, child welfare, victims’ assistance, refugee assistance, hospice work, veterans’ assistance programs, school-based counseling and youth-in-transition programs, self-sufficiency programs and case work, public health worker, etc. 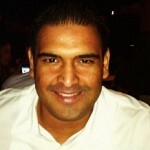 Soc 403–this is the senior capstone, which combines practical experience and research. Students seek placement with an organization in the social welfare field. This is treated as a pre-professional experience, students work in an agency/office, conduct a modest research project, and write up their experiences. A minimum of 5 credits (most students do more, and it is possible to have multiple practica experiences–this is critical to gaining practical experience, making professional contacts, building a network, and identifying specific interests within the social welfare field). Psych courses (for those pursuing a therapy or counseling career), neuropsychology, personality, child development, etc. Courses from the Communications major, especially dealing with group interaction, conflict management. General education requirements (recommendations for social work include introductory courses in psychology (SSC, PSY 201), communication (AEH and GTW), writing (GTW and APC), Spanish (AEH), information literacy (GTW Lib courses), economics (SSC, especially 115). Our Department includes five full-time faculty who teach on campus–three in anthropology and two in sociology–and seven adjunct faculty who offer a wide variety of courses online in support of our majors and minors. Faculty members’ offices are located in Ackerman Building–once an elementary school–so it’s full of good vibes. MESA–Mission for Environmental and Social Awareness–is a student-run organization that is involved in a variety of projects and initiatives on campus and in the community. MESA sponsors and organizes events, participates in fundraisers, and works on issues that run the gamut from welfare-based to activist. The EOSJ promotes student involvement, and highlights the achievements of undergraduate research at EOU. The Anthropology/Sociology Department offers students an interdisciplinary program of study leading to a degree with three different emphases or concentrations: Anthropology or Sociology / Social Welfare. Our graduates have found success in a wide variety of professional venues, and we also prepare students who wish to pursue graduate study, research and teaching, or simply enhance their understanding of humans and the societies, cultures and environments in which they live. We’re firmly committed to enhancing the learning and reasoning abilities of students and helping them to view and examine ancient and contemporary societies through the cultural and social prisms that define and shape our disciplines.